If you have a CPAP machine, you've got to keep it clean. Proper maintenance is required to ensure that this magical gadget continues to function properly. This is because the hoses, tubing and masks are a prime breeding ground for bacteria and mold. This is according to Phoebe Ochman, who is the director of Communications for Sleep Apnea Treatment Centers of America (Source). On a daily basis, you should be wiping the mask down using a damp towel with a mild detergent to remove dead skin cells, oils, and sweat on the mask that can impair the quality of its seal. You can then gently rinse it down and clean it with a towel and allow the mask to air-dry. If you have trouble with snoring, it might be worth checking out this stop snoring exercise program. It provides 3-minute exercises that can possibly cure even horrendous snoring and sleep apnea problems. On a weekly basis, it's advised that you give your mask and tubing a full bath to keep it free of dust, bacteria and germs. If all of that sounds aggravating, there are some CPAP cleaning machines you can buy. The SoClean 2 is our current top pick. It guarantees elimination of 99.9% percent of CPAP germs, bacteria, and other pathogens naturally and safely without chemicals or water. 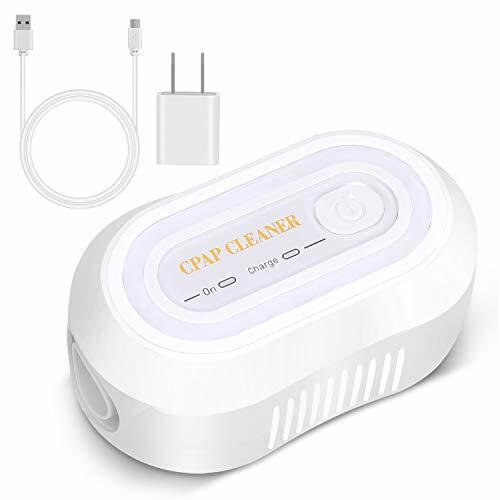 There are several types of CPAP (Continuous Positive Airway Pressure) cleaning products, the most common are machines, which automate the process and take the drudgery out of manual cleaning. These machines either use ozone or specialized cleaning formulas to clean (Source). When buying a CPAP cleaner, it’s important to look for a system that will clean all of your equipment, not just the mask. Buyers also say the idea behind these machines is to take the work out of hand cleaning, so look for a system that makes the process easy or better yet, automates it (Source). This cleaner harnesses the power of ozone, which reacts 3,000 times faster than chlorine, Ensuring safety and cleanliness of your hose, mask, Cushion and CPAP machine & reservoir. Connects to all brand CPAP models benefit from two adapters included. CPAP is a therapy to help people with sleep apnea and breathing-related issues. Because these devices attach to your face and mouth, it’s vital to clean them regularly. A CPAP cleaner helps kill harmful germs and bacteria, that that can cause additional health issues (Source). SoClean 2 Go Travel CPAP Equipment Cleaner is an ideal system for when you need a CPAP cleaner to travel with. It’s small, lightweight and battery operated, which makes it ideal for taking with you. This system destroys 99% of CPAP germs, bacteria and pathogens. What makes this system nice is that it cleans without the use of chemicals or water. 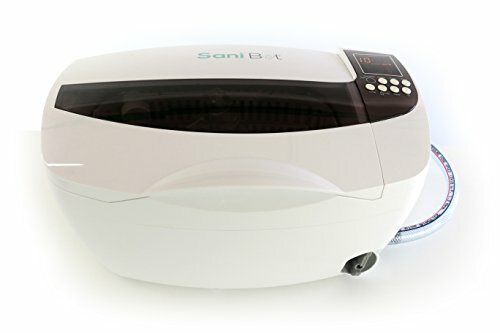 Sani Bot CPAP Mask Sanitizer Cleaning Machine uses plain tap water and disinfectant tablets that come with the system to clean your CPAP mask. This system offers professional results and is completely automated. It’s capable of cleaning a wide range of mask sizes and is highly rated among users. And while some say it takes longer than cleaning by hand, they say you get a more thorough cleaning. VirtuCLEAN CPAP Equipment and Mask Cleaner, unlike the previous models, uses ozone to disinfect and is rated to kill 99.99% of all germs and bacteria in about 30 minutes. Users liked the small size and said it’s great for traveling and is whisper quiet. However, some said the ozone leaves an odor, which is typical for units using ozone as a cleaning agent. 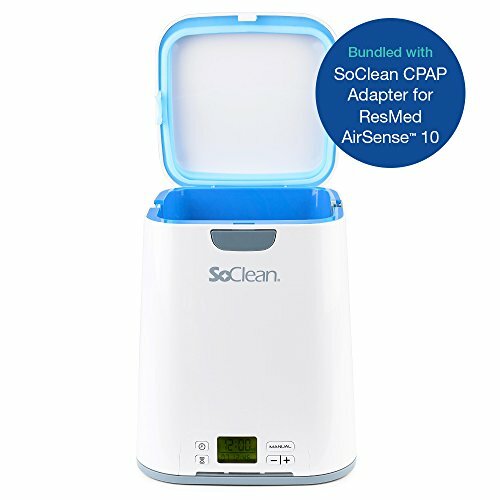 SoClean 2 CPAP Cleaner Sanitizer is the big brother of the SoClean 2 Go and is designed more for home use while the Go is for travel. This machine is perfect for daily sanitizing of your CPAP mask and tubing and kills 99.99% of germs. Like the Sani Bot, this machine is completely automated. In addition, this machine is FDA registered and lab tested. Users say you can set this up to clean at a preset time or do it manually. CleanSmart Daily Surface Cleaner, unlike the other devices we looked at, isn’t a machine, but rather a spray that’s designed to kill germs, viruses and bacteria. What sets this apart is this is designed for those who want to clean their CPAP equipment manually, but still want deep, medical-grade cleaning. 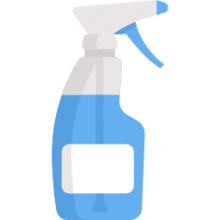 This spray doesn’t leave any chemical residue or odor. This product is also useful for more than just CPAP cleaning as it can be used on sports equipment, humidifiers and anywhere else germs might gather. Cooler Master RR-212E-20PK-R2 CPU cooler is a solid option for someone who is looking for a well-balanced cooling performance. Users like the performance of this CPU cooler, but some do complain about its size. This product is a CPU cooler that is said to feature a perfect balance between high- and low-speed operations. It has a wave-shaped blade design for improved airflow. Another feature is 4 direct contact heat pipes for accelerated surface thermal transfer. There are also models with 2 heat pipes, 3 heat pipes, 5 heat pipes (RR-G5V2-20PK-R1), 6 heat pipes (RR-H6V2-13PK-R1), 8 heat pipes + VC and 8 heat pipes + 3D VC. This item might be a solid choice for end-users of all types. The general user consensus concerning the Cooler Master RR-212E-20PK-R2 CPU cooler is that it works great at keeping the temperature down. They praise its quiet operation. Buyers conclude that it is a great, inexpensive air cooler, if you have enough space for it. That being said, some buyers complain that it can block slots due to its large width. Another complaint regards the poor instructions. If you’re looking for a top-rated CPAP cleaner, you might want to consider the SoClean CPAP cleaner and sanitizer bundle. Users like the usefulness of this cleaner, but some complain about the remaining odor. According to the manufacturer, this product kills 99.9% of CPAP germs, bacteria and other pathogens in your mask, hose, and reservoir. This FDA registered sanitizing machine is said to use safe, natural, activated oxygen to thoroughly sanitize and disinfect your entire CPAP system. This item could be a good choice if you’re looking for a fast, safe, and effective way to clean your CPAP equipment. The general user consensus regarding the SoClean CPAP cleaner is that it meets their expectations. Users agree that it is very useful and easy to use. They appreciate that the cleaner works well and find it to be a great time-saver. However, some buyers complain about the odor that might remain after sanitization. As one user shares, his tubing and mask have a “bleached” odor following a cleaning cycle that takes some time getting used to. The VirtuCLEAN CPAP equipment and mask cleaner could be a solid option if you want a sanitizing machine that takes up very little nightstand space and can be transported easily anywhere. Users love the size of this sanitizing device, and so far have no complaints. This product, it is claimed, disinfects your CPAP or Bi-level machine by using ozone, i.e. activated oxygen, in only 30 minutes. As the manufacturer boasts, it kills 99% of disease-causing pathogens, such as mold, bacteria, and viruses that grow in the CPAP mask, hose, and water chamber. This item might be a solid choice fora small and portable CPAP cleaner. The general user consensus concerning the VirtuCLEAN CPAP cleaner is that it is easy to use and quiet. Purchasers appreciate that it is small and thus portable. If you are looking for a CPAP cleaner, you might want to consider the Sani Bot CPAP mask sanitizer. Users like the effectiveness of this sanitizing machine, but some complain that it is time-consuming to use it on a daily basis. According to the manufacturer, this product utilizes plain tap water and potent cleansing tablets for fast and easy medical sanitation and disinfection. A useful feature is that the device is completely automated and thus allows you to have a sanitized breathing mask at the push of a button. 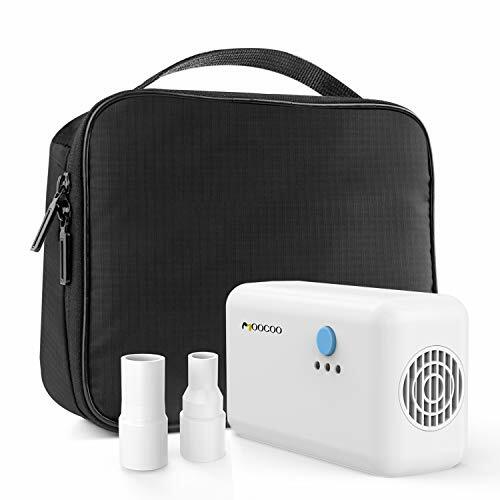 This product might be a good option if you want to keep nasty bacteria, mold, and mildew at bay and breathe safely when using your CPAP device. The general user consensus concerning the Sani Bot CPAP cleaning machine is that it works great and that it is easy to use. They appreciate its effectiveness. However, some find that using the device takes too much time and state that it is much easier to clean the mask and lines by hand. The SoClean Go Travel CPAP equipment cleaner is a solid option for someone who wants a model that features a compact, travel design. Users like the effectiveness of this sanitizing device, but some complain about the poor quality. This product, it is claimed, effectively kills 99.9% of CPAP germs, bacteria, and other pathogens, without requiring the user to disassemble the equipment. As the manufacturer boasts, it sanitizes the entire CPAP system without the use of messy chemicals but uses the same sanitization processes found in water purification, hospital sanitizing, hotel housekeeping and produce handling. This item seems like a solid choice if you want a portable and battery-operated CPAP sanitizing device. In general, users have a favorable opinion of the SoClean CPAP cleaner. Buyers agree that it works well. They conclude that it is great for home use or when you are on the go. Users appreciate that the machine is small and easy to carry around. However, some buyers complain that the device is made of cheap plastic and state that their items broke within 3 months of use, even when used with care. Several dissatisfied purchasers complain that the item arrived missing a part. It is very important that you take the proper steps to preserve your CPAP machine for the long term. This means making sure that the apparatus works properly. Director of Communications at Sleep Apnea Treatment Centers of America, Phoebe Ochman, said this about the need for proper maintenance of the machine, "It is of utmost importance that every component of the machine should be cleaned as thoroughly as possible. This includes cleaning the tubing/hoses, and the masks can serve as a breeding area for mold and bacteria." Ensure a consistent and regular cleaning of your CPAP by scheduling either daily or weekly cleaning of the machine. Should You Clean It Daily? Although you can clean the machine once a week, it is recommended that you clean it daily. Once you get into the habit of doing it daily, it will take you a short amount of time to do it by habit. The first thing that you should give priority for cleaning is to get in the habit of wiping your mask using warm water, mild detergent, and a damp towel. Take special care to thoroughly clean the areas that come into contact with your skin. By wiping it down in this way, you will remove sweat, any dead skin cells and any oils that might have accumulated there from the environment. Rinse it carefully and gently, making sure that the towel is clean, and then let the air and atmosphere dry it out. If your CPAP machine has a humidifier, you will need to regularly empty out any water that has been leftover. Avoid having any amount of water just sitting there in the unit all day long. After you have emptied out the old water, refill the humidifier with distilled and clean water. The best time for this is right before you go to sleep at night. If you are suffering from any kind of illness, you should take extra precaution by making sure that you wash your filter, humidifier, mask, and tubing every single day. Keep cleaning daily until all symptoms of your illness have gone, whether it is a flu, virus or bacteria. Thus, daily cleaning will cut down on the total amount of time that you spend being sick. If you can't clean your unit every single day, you can still ensure its maintenance by cleaning it once a week. Your tubing and mask especially require a full cleaning and scrubbing at least once a week, to keep them free of any germs, bacteria or dust. You should also be careful when cleaning out the tubing of the CPAP, as well as the headgear and the nasal mask. Wash them in a bathroom sink that has been filled with warm water and a few drops of mild dish detergent (without any ammonia). Put the components of the CPAP into this mixture and keep swirling it in the water for about 5 minutes and also rinse it gently but firmly, to be completely sure that you are cleaning it properly. Once you've washed all the parts, hang the tubing on a towel rack or wherever it can be hanged to make sure that any remaining water drips out or evaporates. For the headgear and mask, they air-dry by hanging them from a hanger or laying them out on a towel. Another part of your cleaning procedure should be to use a damp cloth to wipe down the unit. Don't let this towel get too wet or damp, as this can cause a small amount of water to enter the machine. Use warm tap water to rinse and clean the filter. Squeeze it while running water over it to ensure that all the dust in the filter gets cleaned out. Afterwards, use a towel to dab the filter dry. If your CPAP machine has a white filter, then you don't need to wash them, as white filters are disposable and one-time use filters. They work for one month, and then need to be disposed of and replaced with another white filter. However, if you see that the filter is dirty, replace it soon, instead of waiting a month. If your CPAP comes with a humidifier, that also needs to be thoroughly cleaned and washed at least once a week. Once you have cleaned all the components of the CPAP, take out any remaining water and they use warm and soapy water to wash the water chamber. Rinse it thoroughly and try to drain out as much water as possible. Then, let the water chamber dry out by evaporation, and then put it back into the CPAP machine. Along with cleaning, you also need to disinfect your humidifier once every week. You can disinfect it by soaking the humidifier into a solution that is 20% vinegar and 80% water and letting it soak in this mixture for half an hour. Make sure that you are using distilled water, instead of tap water. If you use mineral containing water, then you could clog your machine with minerals over time. By now, you should have a fairly good idea on how to take care of your CPAP unit to make sure that it keeps working properly for a long time. So just by taking out an hour every week, you can ensure that your CPAP works great for many years down the line.